Small Luxury Hotels of the World encourages guests to experience more than just five-star service. Sir Eric Peacock discovers what sets one of the group’s properties apart, with insight from the brand’s CEO, Jean-François Ferret. Could you start by explaining how the ‘champion of small’ mantra comes into practice at Small Luxury Hotels of The World (SLH)? We consider ourselves a champion not only of small, but also a champion of independence. We are a family of truly and fiercely independent hotels, which includes 534 properties in more than 80 different countries. It was SLH that actually introduced the ‘boutique hotel’ trend and made it a worldwide phenomenon. This concept has now been adopted by other brands, but really, I think we have managed to maintain our values as a brand while building a well-balanced portfolio of different hotels and experiences for our guests. Although the SLH offering is diverse, the various properties are unified by consistency. How do you maintain this? It’s one of the key differentiators of SLH and it’s one of our key strengths. We are one of the only luxury brands that visits each property in our portfolio once a year, and we are very strict about this process. We have 85 inspectors who travel all around the world and they carry out more than 700 quality checkpoints on each hotel. They then combine these results into a detailed report as feedback to the hotel. If the property does not pass the exam, we carry out another check three months later, and if they fail on the second occasion, they are no longer associated with the SLH brand. We consider this formal feedback one of the most valuable tools we offer to our hotels because it provides a basis for them to improve. How was the SLH business formed? SLH was founded in the early 1990s when the idea of ‘boutique hotels’ was first emerging. It started with 75 hotels in 12 countries. Today, our footprint is mainly in Europe where 62 per cent of our properties are located. The business started in the UK, which was the main market for a long time and it expanded from there. Twenty per cent of our properties are based across the Asia-Pacific region and the Americas make up another 18 per cent of our portfolio. How did you get involved in the luxury travel sector? It was passion that led me here. After high school, I actually wanted to go to hospitality school, but at the time it wasn’t something you pursued as a career. Instead, I went to management school in Paris before going on to work predominantly in the services arena; for travel agents, for the food-service industry and for car-rental companies. 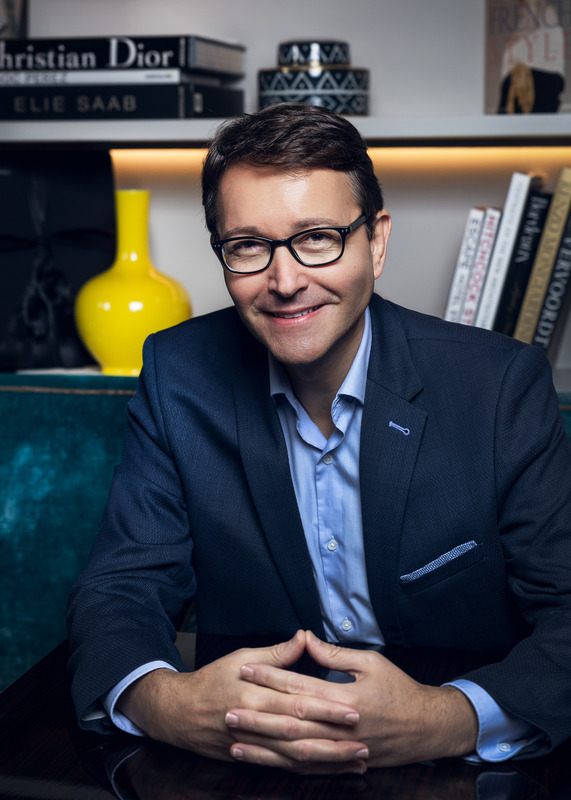 It was when I was CEO of Hertz France that I saw an opportunity to combine car-rental services with the idea of driving and discovering new places. With this concept, I went to Relais & Châteaux, and after a very successful meeting with the president, he asked me to join the company as CEO in 2011. With various changes taking place on the board at Relais & Châteaux last year, I felt it was time to search for new challenges, which is when I heard about the CEO opportunity at SLH. Where do you see the opportunities for the growth of SLH? The growth will come from the Americas. As I mentioned before, 18 per cent of our portfolio is currently based in this region, but in reality, this percentage doesn’t reflect the market and it doesn’t reflect the various experiences on offer. There is real potential for combining quality with luxury across the Americas, and with that comes huge potential for growth. In five years’ time, I would like to be in a place where we’ve increased our footprint in the US to 30, maybe even 40 per cent. Another driver of business growth will be in Asia, and we are working to develop our properties there, too. How do you address issues surrounding sustainable tourism at SLH? We are very caring and conscious of the necessity to do more collectively in order to make an impact, and this is the message we want to promote to our customers and wider audience. Conscious travel is one of our driving forces and we need to express that. In the future, we will explore the world with intention, experiencing its intensity while being mindful of the environment. To highlight this mindset, we have created the Caring Luxury Award, which we give to one of our properties each year as a mark of thanks for their contribution to sustainability. We are also building a platform where we will share all of the hotels’ initiatives and commitments to creating a more sustainable business. Through speaking with various general managers across our portfolio I have discovered so many amazing ideas, and we want to share these ideas with the world. It’s a way of showing how we as a collective are protecting the integrity of the planet. In 2018, the Caring Luxury Award was given to Ka’ana Resort in Belize. It’s a particularly standout property because of its commitment to organic – and also all the food served at the property comes from within a 25-mile radius of the resort. The hotel has also launched big initiatives with the local resource centre and shelter, Mary Open Doors, which cares for children and women who have suffered abuse. For me, SLH shouldn’t just be a luxury brand – it should be a movement. What are the values underlying the SLH business? ‘Independently minded’ is our tagline, and our properties are very much linked to this ethos. With this in mind we always look to champion independence, and this is one of our brand’s strengths. We also want to be valuable as a brand and make our customers, members and partners feel valued. The third value that we promote is about personalisation and making the experience personal. Identifying these various elements, we work to the end goal of creating something astonishing – giving our guests an element of surprise to ensure their experience is unforgettable. How are you defining the trends within the travel industry and how do these trends impact upon SLH? Usually when you talk about the brand you talk about the importance of things like millennials, technology and such. All of these things are important, and they are already happening. At SLH, we try to identify the soft trends and then build upon these to either define a new offering or invent new products for our guests. Each year we conduct a survey outlining these soft trends. From the most recent set of results we have identified the need for more landscape – people are really searching for beautiful surroundings and they want to be immersed in this sort of environment. One question we are often asked by guests is, ‘Does my hotel/room offer beautiful views?’ This need for landscape is very important because it means we are now selecting hotels in areas where natural beauty is in abundance. For example, The Fish Hotel in the Cotswolds is surrounded by 400 acres of estate land and offers incredible sweeping views across the countryside. The second trend we’ve spotted focuses on water – guests are looking for properties located close to water because it’s perceived as a purifying and restorative element. We are seeing a lot of interest in properties located near hot springs and other natural water sources, which shows how guests are looking for healing experiences. We have also identified an increase in the number of females travelling solo, and some of our hotels such as Dukes London now cater to this and have introduced a specific programme – The Duchess Rooms – which provides a unique service to this demographic. With such an international mix of employees in SLH’s central team, how do you manage such a diverse range of individuals and how do you approach the recruitment side of the business? It’s key for us as a global organisation to understand as many cultures as possible. We now have more than 13 different nationalities working in our head office, so in terms of recruitment we look to match the diversity in our team to the diversity of our hotels and experiences. Ultimately we want to try and respect different cultures in order to really understand and then react accordingly. Given all the things happening around the world at the moment, do you see this having an impact on your segment of the travel market? We’re operating in the luxury segment, and this area is not particularly affected by what is happening globally right now. If some of the regional markets are affected then this is counteracted by the business increase in other parts of the world. In 2018, for example, we were experiencing a drop in our UK market as a consequence of Brexit and the various uncertainties coming with the weakness of the pound. On the other hand, the rate of the clientele from the Americas was booming – so in this case, there’s room to compensate for the areas experiencing impact. How is SLH implementing technology to communicate with its customer base? With technology we want to personalise the relationship we have with our customers as much as possible, but in order to do this we need to use our data intelligently and understand the unique profile and preferences of each of our customers. We’ve invested into Salesforce Marketing Cloud to help deliver bespoke personalised content to our customers. For me this is the ultimate luxury; it’s not just about providing a high standard of service, it’s about providing the right service at the right time. To do so, we need to really know our guests. How do you see SLH utilising digital technology? At the moment we are investing more into our website and app to improve our customers’ journey. I can see there is opportunity for us to introduce systems such as AI and automatic recognition in order to tap into our guests’ preferences. This is our target. There are a few transformations that need to take place in order for us to get to this point, but digital advancement is not a target in itself. However, it is a tool that changes from one day to another, and we have to adapt to this.